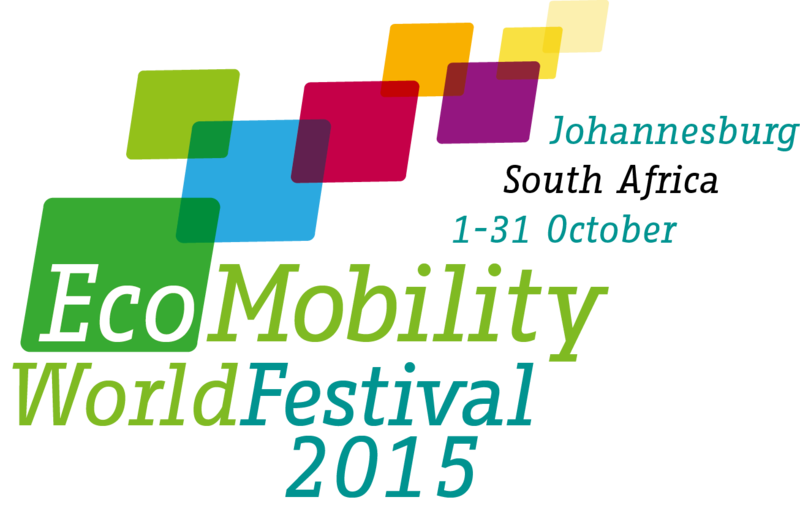 The proponents and organizers of the EcoMobility World Festival2015 are receiving messages from citizens and businesses who are concerned about the impacts of the month-long closure of streets in central Sandton CBD. While the City of Johannesburg prepares for a broadly based public consultation, the initiator of the EcoMobility Festival series, Konrad Otto-Zimmermann, has responded to those who have raised questions or expressed concerns. Thank you for your message and for sharing your thoughts and concerns. Allow me to introduce myself. My name is Konrad Otto-Zimmermann; I am Creative Director at The Urban Idea and am conceiving and supporting the implementation of innovative urban projects. Previously, I served as Secretary General of ICLEI, the world’s largest association of cities and local governments for sustainable development and environmental protection. Johannesburg has been a long-standing member of this organization. All of us are somewhat dissatisfied with the mobility conditions in the city in which we are living and working. Some spend valuable hours of the day in congestion, not only in their own cars but also in buses; others find it annoying and dangerous to cross the street because of the motor traffic; pedestrians suffer from narrow sidewalks and dangerous driveways as do wheelchair users; cyclists are complaining about unsafe cycling conditions; disabled people have little chance to move around safely; etc. Indeed, most of the public space of a city is dedicated to motor traffic; it may be time to think of a better, more social use of our valuable public space. It is therefore legitimate to think about ways of moving around in our cities that are pleasant, efficient, safe and socially fair. I assume you will agree. So far, so good. Many local governments are planning for improvements, so does Johannesburg. One can do incremental improvements or think of a more radical change, and there are many scenarios in between. But is there a way for the local community (residents and commuters) and the city to try out a different mobility future? To allow for this, I have proposed one-month trials of a different future. The community would live a different lifestyle, in this case try out EcoMobility, for a month. After this unique experience, all of us can discuss and decide in which direction further improvements shall be made. I have worked with cities, and partly within a city administration, for 35 years, and my recurring observation has been: many citizens, city officials and city leaders fear a change of the present conditions because one does not have a personal experience and perception of an alternative condition. This is the background of the project of EcoMobility Festival. For one month, everyone can experience an ecomobile way of life. It does not have to be a dry, annoying exercise – we can organize it as a Festival that is enjoyable for everyone. In a way it’s a once-in-a-lifetime experience because usually a community cannot test a different urban scenario altogether. The first EcoMobility Festival was organized in the South Korean city of Suwon in September 2013. After initial hesitation, most residents became active supporters of the Festival, some remained opposed. After all, most people thought it was an amazing experience and asked the city that some of the “greener mobility” measures should be kept permanently. The neighborhood in Suwon is quite different from Sandton, but if you are interested, you may want to watch a 15-minute video documentary at https://vimeo.com/82618459. Some of the concerns raised relate to safety and cleanliness of public transport. As an urbanist, I personally think that a local community should do whatever it can to make public transport cleaner and safer rather than to sadly barricade themselves in SUVs. The EcoMobility Festival is designed to catalyze debate around these questions. Indeed, the City of Johannesburg will embark on an extensive consultation and planning process. They will shortly be engaging with stakeholders including residents, property owners, and businesses in a variety of ways including sending out a questionnaire, stakeholder and public meetings. Please participate in this. I would even urge you to voice your concerns and – even better – make suggestions. When the City has its transport management plan for the October Festival finalized by the end of June, they will be able to provide you and others with some alternative ways to enter into Sandton. They will also make plans for contractors and delivery vehicles that need to enter Sandton during this month. I believe the consultation process that has begun now will give everyone the opportunity to participate in the shaping of the EcoMobility experience in October. Thank you for contacting us! I am happy to meet and discuss your concerns and ideas when I will be coming to Johannesburg next time.